This salad is great for a first course, it is colourful and refreshing. There are also several possible variations that I will suggest later! Grate the zest from one grapefruit. Peel the 2 grapefruits to the pulp. If there is juice, save it for the sauce. Slice the cucumber and cut the cabbage into sticks. Cut the salad into small bites. Mix the honey and oil with the grapefruit juice. Add salt and pepper. You can also add lemon juice. 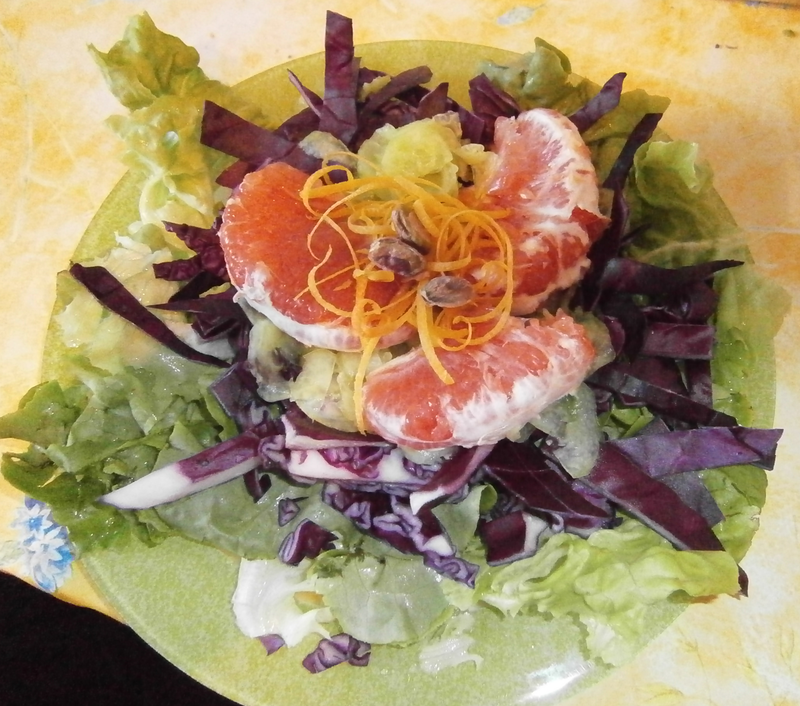 Prepare the salad: in plates, place the salad, then the red cabbage, the grapefruit and the cucumber (you can make a pile or place them next to each other). Sprinkle with the zests and the seeds. Pour the sauce and serve. The walnut oil gives a special taste to the sauce. You can also replace it with olive oil, or sunflower oil. You can also replace the seeds with pistachios for example, or the grapefruits with oranges or apples. If you don't like the red cabbage, you can put avocadoes.